See what's possible when we forge creative solutions. New solutions for age-old challenges. Innovation and creativity thrive with the inclusion of many points of view. KPMG is made up of extraordinary people with diverse backgrounds, ways of thinking and expertise. This is what drives our innovation and creativity, which is amplified through a network of leading-edge immersive environments and centers. KPMG Insights Centers: These collaborative, next-generation working environments enable our people to help clients interact with their data in ways they never imagined, as they anticipate and plan for disruption. By exploring new possibilities and solutions to address critical risk, performance and growth challenges, Insights Centers around the world help foster new and innovative solutions to business challenges. Data Observatory: The groundbreaking Data Observatory, developed with and housed at Imperial College London, uses immense data processing capacity to allow users to see patterns up close that wouldn’t be visible on an ordinary computer screen. Data can be analyzed and visualized in a way that generates insights that help businesses improve their products and services to remain competitive. Ignition Centers: Clients can discover disruptive business trends, harness data and analytics insights to build technology-based solutions at these innovative workspaces. As unique project-focused environments, they encourage technological creativity and foster inventive technology-driven solutions to empower and inspire. 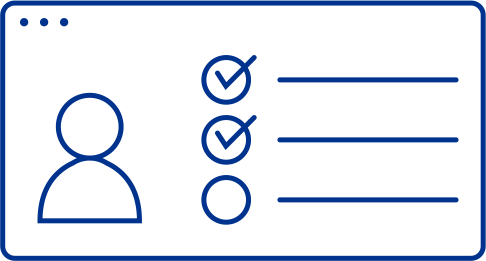 KPMG Lighthouse – Center of Excellence for Data & Analytics: This center enables the delivery of analytic capabilities seamlessly across geographies and member firms to bring the right services and talent to clients. KPMG Lighthouse provides an integrated data and analytics platform that leverages expertise in software and data engineering, data science, advanced visualization, artificial intelligence and robotics. 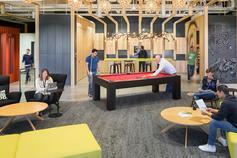 New workplaces designed to foster collaboration.